This month we will see the start of the 2017- 2018 Volvo Ocean race from Alicante on a gruelling circumnavigation , including extended periods in the Southern Ocean , which will test the yachts equipment, especially the sails, to the limit. We are very happy to bring you an interview with Kenny Read, President of North Sails who are exclusive sails provider to the race. Q: The North Sails Group has been deeply involved with the Volvo Ocean Race (and formerly the Whitbread Race) since the 1980s – can you give us some background on the history of the relationship and how the race and North Sails have evolved together? A: At North Sails we have treated the Volvo Ocean Race as the ultimate testing and proving ground of both our high durability products but also the interesting mix of Grand Prix race and durability products. In essence, 3Di has been the perfect product for the Volvo. Back in the 80s, into the 90s and even into the early 2000’s when film and string sails like 3DL were used, the durability part of the product certainly struggled. No one can argue that laminate sails certainly struggle in offshore environments. The constant pounding, the moving and folding, the heat and the cold and because of that inventories for the boats had lots and lots of different sails on board. Firstly to cover the wind ranges but also they had tons of replacements to keep fast sails in one piece all the way around the world. But then we moved to the 2000’s and the introduction of 3Di and the difference has been astounding. It’s where, for the first time ever, we were able to say that the fastest sails were also the most durable sails. 3Di has simply changed the game. But we don’t stop there, we continue to evolve and push the product to new levels of both speed and durability through this Volvo. And honestly, it is a gift for North Sails to continue this sort of development in partnership with a race like this. 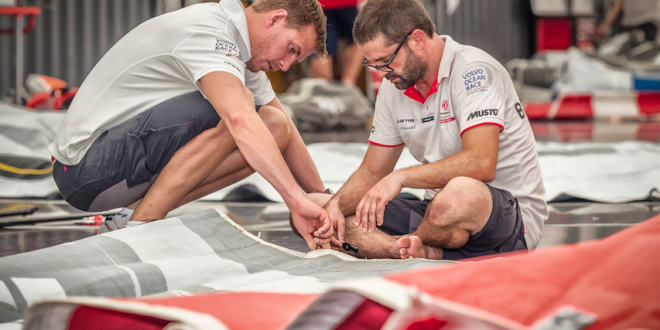 Q: North Sails was again selected as the Official Sailmaker for the next edition of the race. 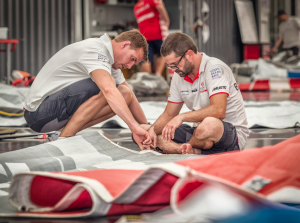 What do you see as the key factors in that decision and why is it important for North Sails? 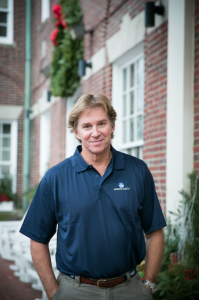 A: I would say that proof of product is the major part in our continuing partnership. When we were sailing the Volvo 70s for the three editions that I did, the first edition with the Volvo 70s was with the canting keels we were using 3DL sails, the second edition in 2008 was still 3DL and then the 2010 edition did a complete switch over to 3Di. That was actually a big move at the time as the product was still relatively unknown but the results were staggering. Not just to North Sails but to the sailors themselves. I remember the meeting with the Volvo team in 2008 when they asked how many mainsails I thought we could have gone round the world with and I said right there that I thought we could have done it with just one. We had done it with two but I definitely thought it was possible with one and that started the ball rolling. 3Di basically allowed for massive budget cuts and sail restrictions to happen embracing and enhancing the whole one design concept. And that is a good thing (even though we were making less sails) because, as a sport, we have a responsibility to make these grand prix races even more affordable to get more teams involved. So 3Di has allowed the game to modernise, to change and in my opinion all for the better. Q: What makes the Volvo Ocean Race so unique and special, as a sporting spectacle on the water? A: First of all its relentless, it’s ruthless, it’s brutal, it’s person against the ocean and its product against the ocean but the ocean is ruthless and has no mercy. So 3Di, and the lack of delamination in particular, has allowed teams to push the boats harder and make the spectacle even more dramatic. So it’s really the ultimate test for machine and all the products on the machine. These products have to perform, to do things that people never even dreamt that they would be able to – it’s another reason why we are so proud of 3Di and the people that design and engineer it as it has taken the spectacle and made it even crazier. Q: As a former skipper in the race, you were one of the first adopters of 3Di from 3DL with PUMA. What were the key factors for you at the time? And what is your reaction to all the teams making it around the world in 2014-15 with only one mainsail and no sail failures? 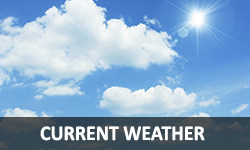 What is the impact on costs for sponsors and performance on the water for the crews? A: Ericsson had tried a few 3Di sails back in the early stages of the previous race (early 2008) but nobody had any understanding about the blend of materials and the engineering in them and what a game changer they would be. At that stage, the sails were made too strong and brittle so the ones Ericsson tested basically broke… But from that race to the next, the evolution of the product was on a vertical learning curve. With me having a bit of knowledge of the company, by the time the next race came about and we were having to make some big choices, I was completely comfortable making the leap and jumping in with both feet. We only made one 3DL sail as a test sail for that race, in case 3Di didn’t work early on, but at the end of the race we found that sail on the rack having never seen the light of day. In fact it actually got sold with the boat. So 3Di worked, and the word spread really quickly amongst the fleet that we were very happy and all in.And every other team did the same thing – in the end everyone knew that 3DL was fast and a great product but that it was brittle and the durability of the laminate string sail just wasn’t up to the job. Every North boat in the 2010 race used 3Di. That race was still a bit of a learning curve for 3Di, a couple of the sails were made too light for a couple of the boats but even having said that, we had only one 3Di sail failure in that race and it was a gear failure that lead to the error anyway… We had our J2 up about half way round the world on the leg from China to New Zealand. We were steaming along in too much breeze for the sail, we threw in a couple of reefs but in one of those squalls we were holding on but we didn’t want to change jibs. Then our tack cunningham on the jib exploded and it just happened to be one of the few times we didn’t have a safety line on the tack and the sail just took off up the headstay at about 1,000 miles an hour in 30 knots of breeze and flogged itself right in half. Now, we were about 2/3rds of the way to New Zealand, we were in second place and it was a really tight leg and our J2, our primary sail in that sort of condition, had just flogged itself in half. So we bear away and get it down below and we pull out this boat building product, 5200, which is essentially boat building goop, and a few of us dove in and just started slapping it on along with pre cut pieces of 3Di cloth in our repair kit. Within 4 hours we had the sail back together and within 15 hours we had it back out there (even though the product needed 24 hours setting time) but we needed that sail. So we got it up, and it was nearly perfect. We even passed a boat on the final stretch and we used it quite a bit more prior to replacement. The point is, yet again the product proved itself. If you abuse it, it will eventually break as it is a soft piece of material but you can put it back together and it still be a world class sail. 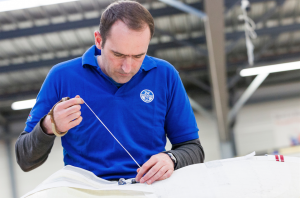 And also, since then we have learnt more about the product, materials and manufacturing process that has also hugely helped the sailors work out how to get the most from these sails and make them last, and perform, on and on. The crew sizes on any boat is now getting smaller and smaller so the ability to have fewer sails which each cover a wider range is making a significant difference to teams. On Volvo boats you can stack sails so the fewer you have the less you have to move about. So it’s a pretty nice feature that you have 4 or 5 fewer sails on board as the boats now do the race without a single back-up sail aboard. So less gear, less moving stuff around, less sail changes, less cost, less development. Sail changes are expensive in terms of miles and energy, so the less you have to do the better. For sure 3Di costs a little bit more but that is because it is worth it in so many different ways – you are hugely reducing your overall total costs, maintenance and number of people on board. Interestingly I have always said that with a brand new, out of the bag, 3Di and 3DL sail there is very little difference in speed. But after that first minute, you would very fast start to see the difference in stability of 3Di – the lack of stretch, give, shrinkage. So from minute one 3Di is getting faster than the laminate string sail. And then from minute 1, 10, day 2, day 15, day 60 and so on, the difference just gets bigger and bigger and the durability is uncomparable. 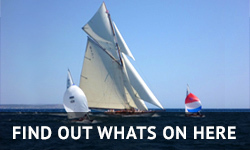 Q: North Sails often refer to the “Engine above Deck”. What does this encompass (North Sails & Southern Spars) and tell us about the commitment to R&D so that NTG remains the leaders in technology and manufacturing for the Engine above Deck? A: 3Di and North Sails are just one entity in what Terry Kohler (previous majority owner of North Sails) started calling the Engine above the Deck. And it is one of the reasons that he wanted to get into the mast business in the first place. Making and delivering sails and masts are now part of the same thing – with the software that has been developed by these two NTG companies, it means you don’t even have to own a tape measure, let alone get it out and start using it. The software of mast bend, stability, fit, fittings etc means that mast and sail can be done as one package and if it is done properly it is perfect. So the Southern Spars and NS package that the two companies share is a godsend. If everything fits right out of the bag then your chances of success grow astronomically and this is what this package can do. Q: How does the work that North Sails does with the Volvo Ocean Race influence the wider product ranges for other One Design classes, cruisers, weekend warriors and beyond? A: We think 3Di is still in its infancy in terms of the development standpoint – the materials, layouts, engineering and the ability to adjust shapes in different conditions it is like nothing the sailing world has ever seen. The big one for me is, years ago when I was in my early days in the sailmaking business it was never the case that the faster the sail the more durable it was. I did an America’s Cup once where we were putting three races on a Jib before we threw it away. The power of the sentence: The fastest sail in the world is now the most durable sail in the world – it’s unbelievable, it’s a miracle. It cannot be underestimated. 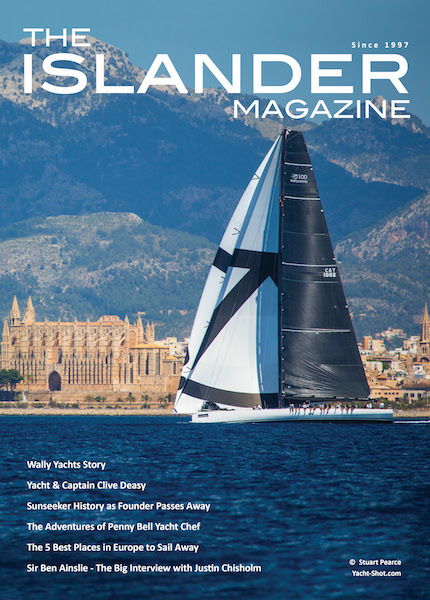 The benefit to sailing and to sailors, whether you are a cruiser, a performance cruiser, a racer, a performance racer or a Grand Prix racer, is unreal. We can engineer the materials, design and layout of these sails to cater to the type of sailing you are going to do. It is not a broad brush that you put over the canvas anymore – it’s customized and personalized. Its why people who are using 3Di for the first time and going to do their thing and we get notes saying: ‘Oh my goodness, thank you! This is an amazing product.’ As a company we love that sort of feedback and it’s amazing to see the difference this product makes to so many people and their performance and enjoyment of sailing right across the spectrum.